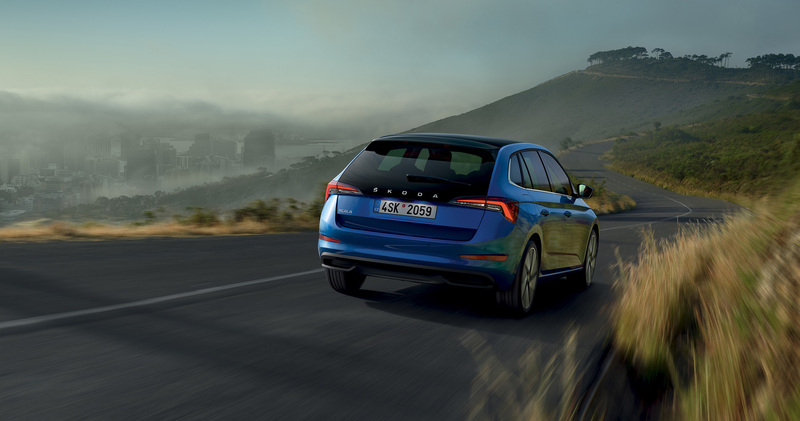 The all-new ŠKODA SCALA will be your rock even as your whole life changes around you. Remarkable for its versatility and spaciousness, you’ll easily cope with anything the future has in store for you. On top of that, you’ll love the stylish design, state-of-the-art connectivity, and utmost safety. With the SCALA, you will be in possession of a high-quality, modern car that offers much more than meets the eye. 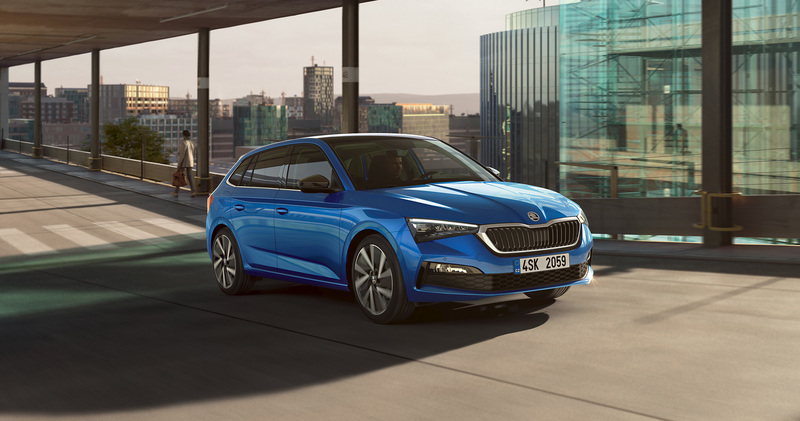 The ŠKODA SCALA is the first production model in the next stage of the ŠKODA design language’s evolution. It takes its inspiration from the VISION RS study, borrowing the concept car’s sporty yet timeless design, complete with sculptural shapes and dynamic details. The ŠKODA SCALA has received the “Red Dot” design prize for product design. The dynamically shaped body impresses with its light-and-shadow play. 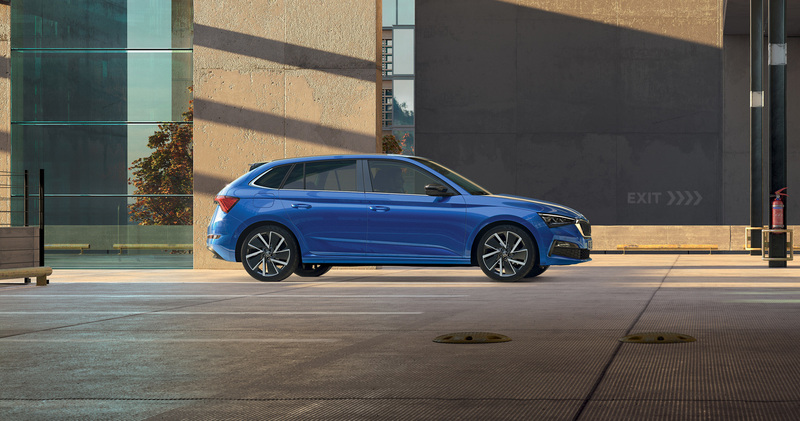 ŠKODA’s signature dynamic shoulder line forms the distinctive side view. 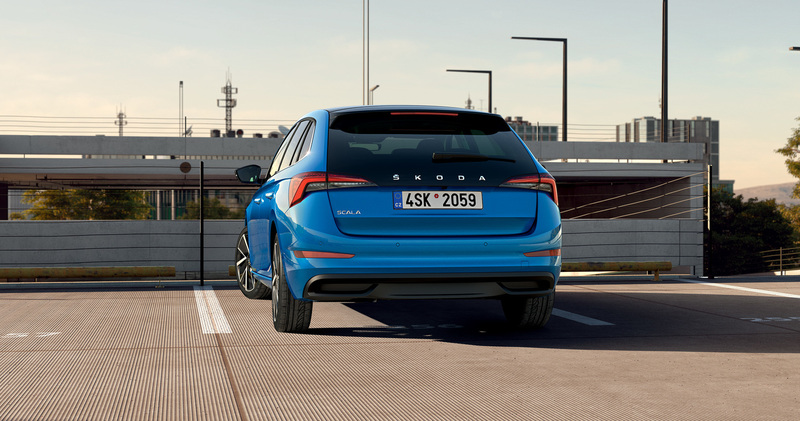 In the new SCALA, “ŠKODA” is written out in block lettering on the tailgate. 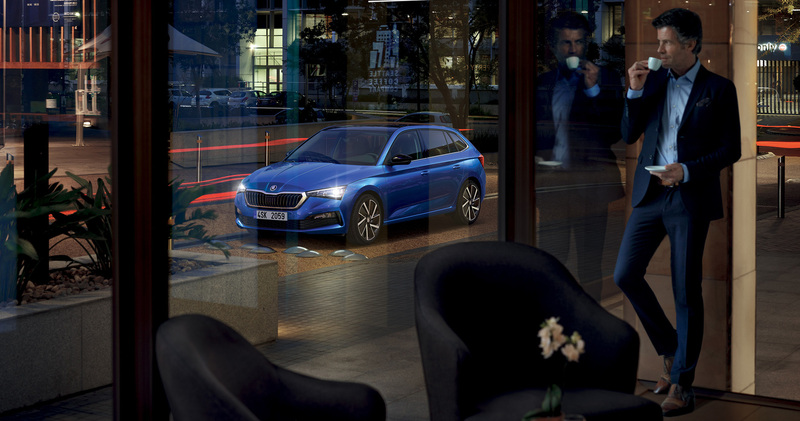 The SCALA is the first ŠKODA to feature a free-standing infotainment display. In typical ŠKODA style, the interior offers a tremendous amount of space. 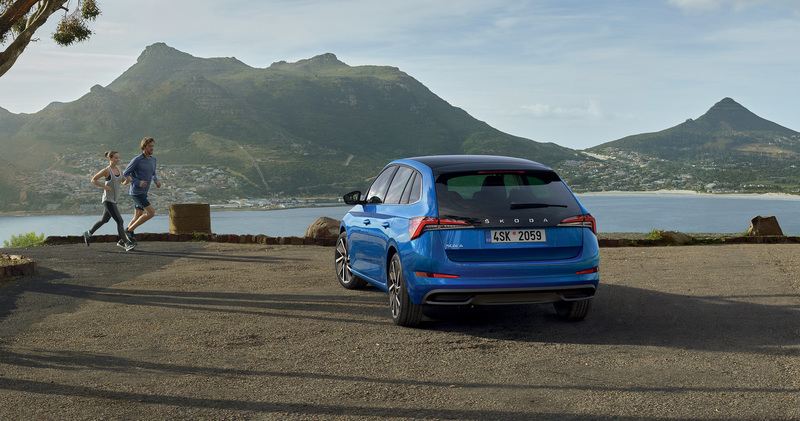 The large boot can accommodate up to 1,410 l with the rear seats folded down. 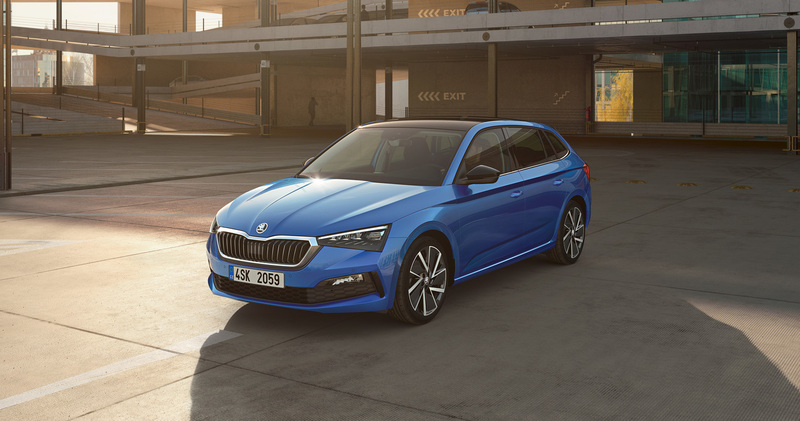 The practical SCALA, with its wide range of comfort features and ŠKODA’s signature Simply Clever solutions, will be a boon when ferrying the family around, going on outings trips with friends, or just enjoying the intimacy of being a couple. Usher the whole family into the car and embark on a new adventure. The 467-litre boot means you’ll never have the headache of deciding what will have to stay at home. The folding tray tables are ready for your kids’ games. And off you go! Online Traffic Information gives you the traffic news you need to avoid obstacles and the dreaded “Are we there yet?”. 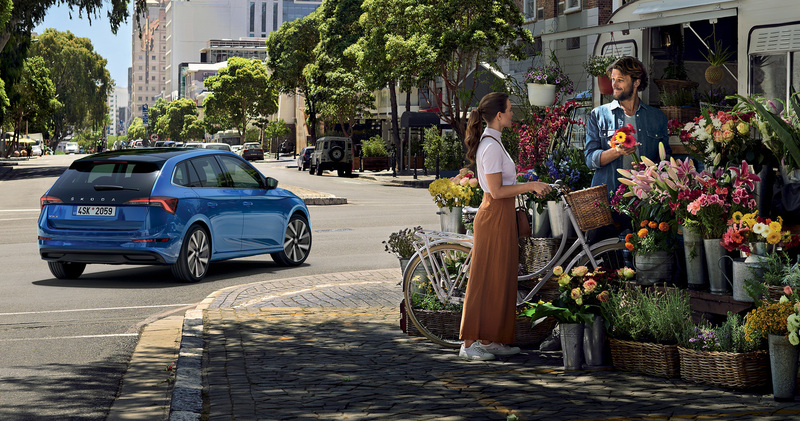 Simply load your bikes and plan the rest in the infotainment system featuring ŠKODA Connect: find a perfect spot for your trip on the map, check the weather there, and let the navigation guide you. Whether you transport your bikes in the boot, on the rooftop bicycle rack or on the towbar bicycle carrier, there’ll always be plenty of space left over. Friday night is perfect for a romantic dinner for two. As you make your way to the restaurant, relax in heated seats, covered with plush Suedia microfibre, and enjoy the dual-zone air-conditioning. Leave the search for a parking spot to Parking Spaces, which will advise you where spaces are still free. And if it starts raining, there’s an umbrella in the driver’s door. The day’s work is done, the evening is still young, so how about taking a few friends to the cinema? You’ll have fun on the way. 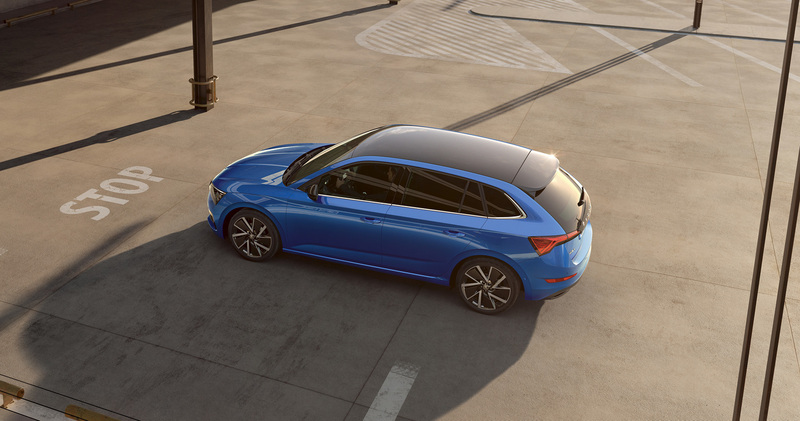 Your passengers will enjoy the view from the large panoramic roof, offering a new slant during the day and the night. 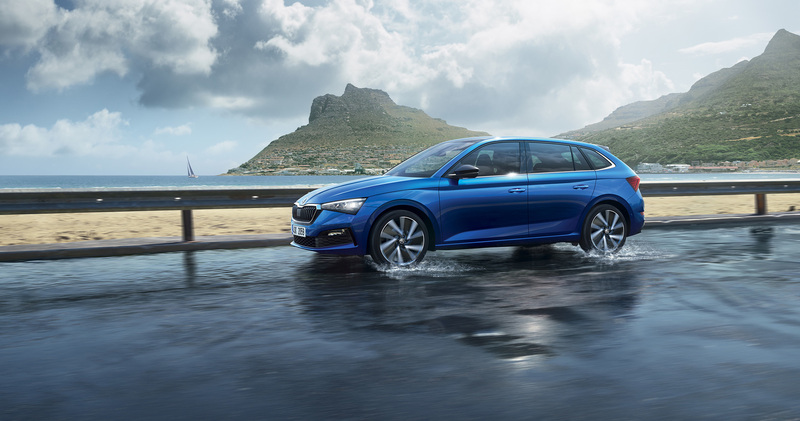 If you run out of conversation, the Wi-Fi connection and ŠKODA Sound System will deliver entertainment all the way. If you know the local jogging trails like the soles of your running shoes, it’s time to look for pastures new. And the SCALA will be a great companion. Put your sports gear in the boot nets and your drinks in the 1.5-litre bottle holders in the doors. The Parking Position service, showing you in your smartphone where your car is located, ensures you’ll always return safely. A big food shop, home and garden accessories, or bags packed with the latest fashion – it will all fit. The boot can handle 467 to 1,410 l, and it’s teeming with smart solutions. Place your shopping in the cargo fasteners or attach it to hooks. Thanks to the folding backrest on the front passenger seat you’ll be able to carry items up to 2,511 mm in length. The SCALA is perfect for everyday travel in city traffic. Besides its practical dimensions, the car also has Hill-Hold Control. Say goodbye to the stress of waiting for a green light halfway up a hill. 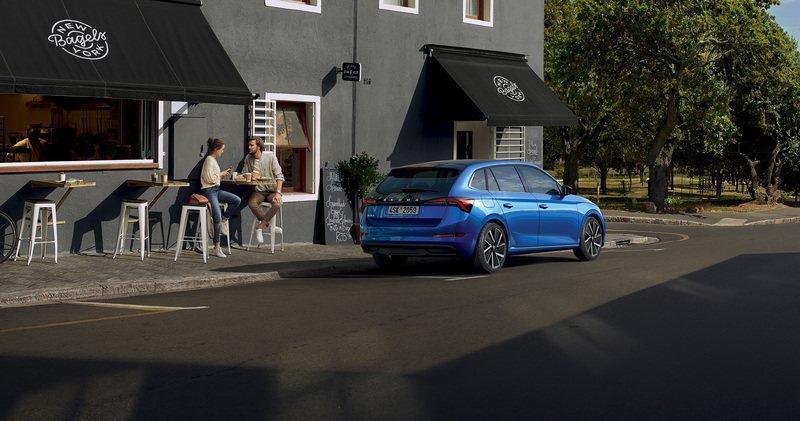 When you go shopping, you can rest assured that parking will be child’s play – you have parking sensors, a Rear-view camera and the semi-automatic Park Assist to help you out. Want to check how much fuel you’ve got left, but you’re not in the car? Parking on the street and not sure if you would hear the alarm? Can’t remember if you locked the car? 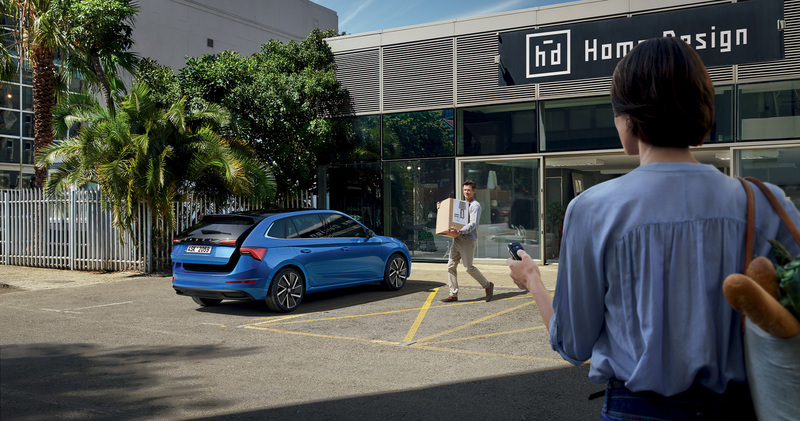 The new SCALA handles all of these everyday worries and many more with Remote Access services – in the ŠKODA Connect app, you can check and control your car remotely. Take your four-legged pal somewhere he hasn’t been before with the dog-friendly SCALA. Dogs will enjoy the comfort of the second row of seats, where they can be safely secured with a dog safety belt. The seat cover is also kept clean with back seat protection. All you have to worry about is where to take your dog. 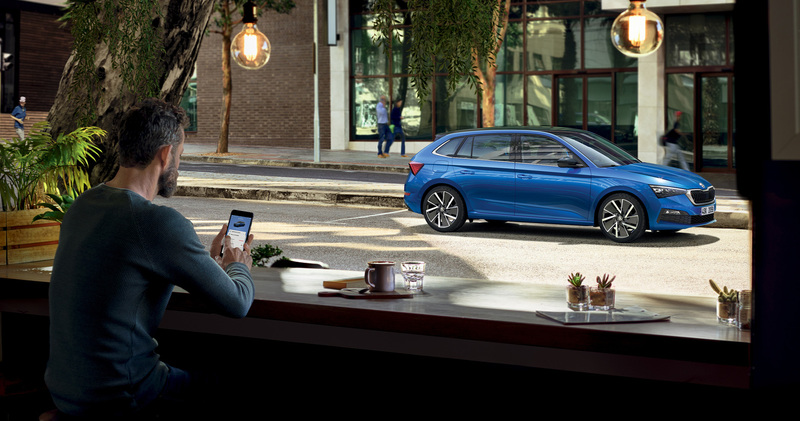 The state-of-the-art technology and top-of-the-line connectivity provide you with an array of in-car helpers to make every day easier for you. 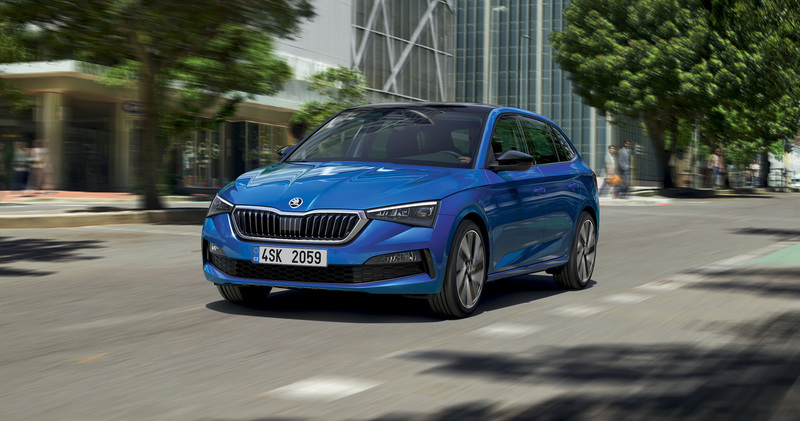 The state-of-the-art A0 MQB platform, on which the ŠKODA SCALA is built, enables the car to be fitted with the advanced technology to make every drive more comfortable, more economical, and safer. 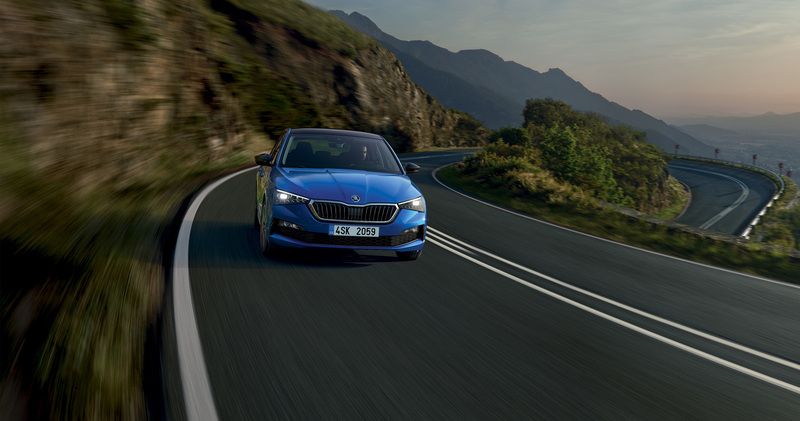 With the built-in eSIM card and the widest range of ŠKODA Connect online services ever made available, nothing will escape you on the road, and you can even check your car remotely with your smartphone. 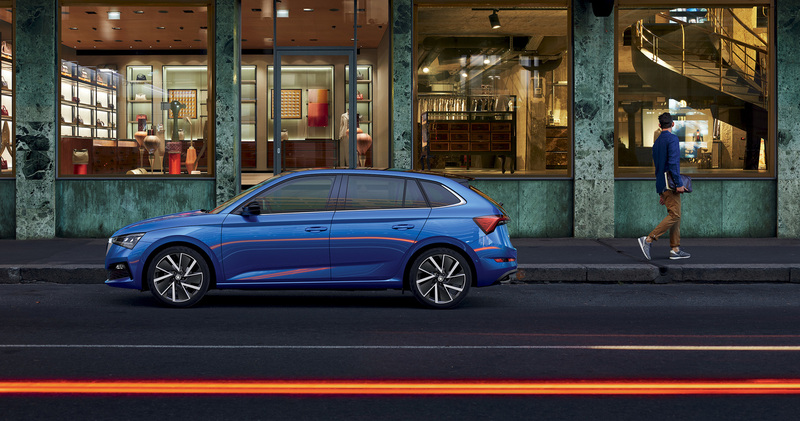 Find out for yourselves: pick your favourite colour, wheels to suit, and start the ride to see the ŠKODA SCALA in action. Want to configure your SCALA from top to bottom? Go to your country’s configurator. 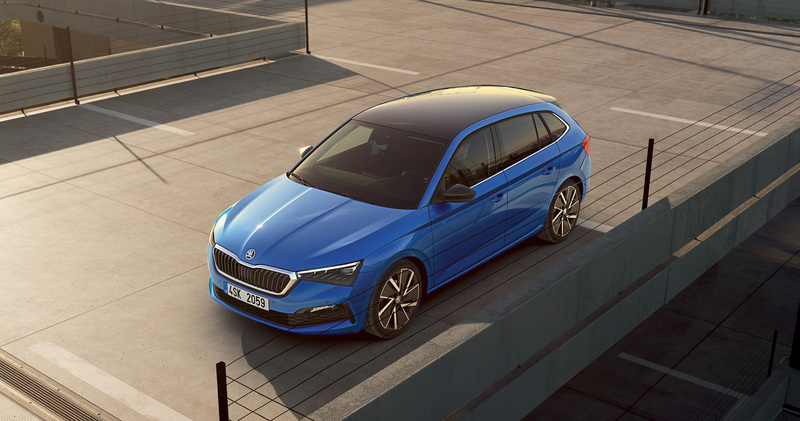 We have prepared a range of ŠKODA Genuine Accessories to align your car with your individual needs and to satisfy your specific requirements in extraordinary situations. Browse through the ŠKODA E-shop from anywhere to find the right genuine accessories for your ŠKODA SCALA. The lockable rooftop bicycle holder provides a secure means of transporting bicycles, for example when embarking on a cycling holiday over the summer. Your best friend if you&apos;re in for a long trip and you want to keep your rear passengers entertained. Make a good impression even after a long trip. Thanks to the stylish clothes hanger, your coat or jacket will look like it was just taken out of your closet. The Dog Safety Belt is indispensable for any driver who often travels with a pet. The belt prevents the dog from moving freely and disturbing the driver. The dog is also stabilised in case of abrupt braking. The fold-out double-sided (rubber/textile) mat lets you cover the rear bumper while loading to protect it from dirt and damage. High-quality textile foot mats with trim in copper design will perfectly complement the interior equipped with copper brushed décor. Want to match your ŠKODA SCALA? This is precisely what ŠKODA Branded Goods are for, bringing you happiness every day. 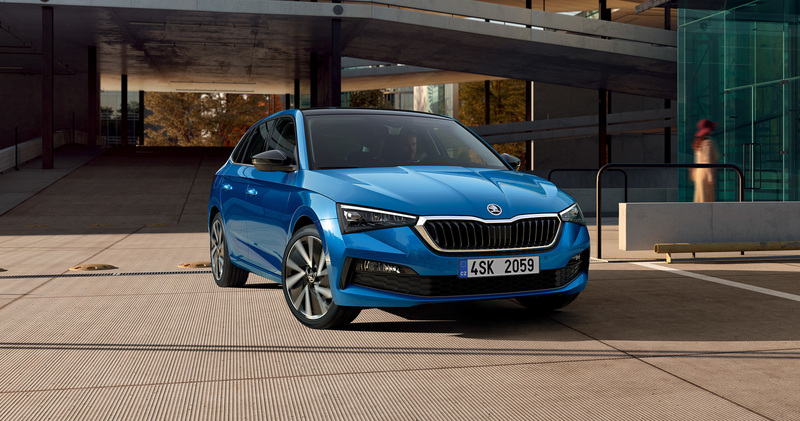 Check out the clothing and accessories with their striking design and well thought-out features – just as you have come to expect from ŠKODA cars. 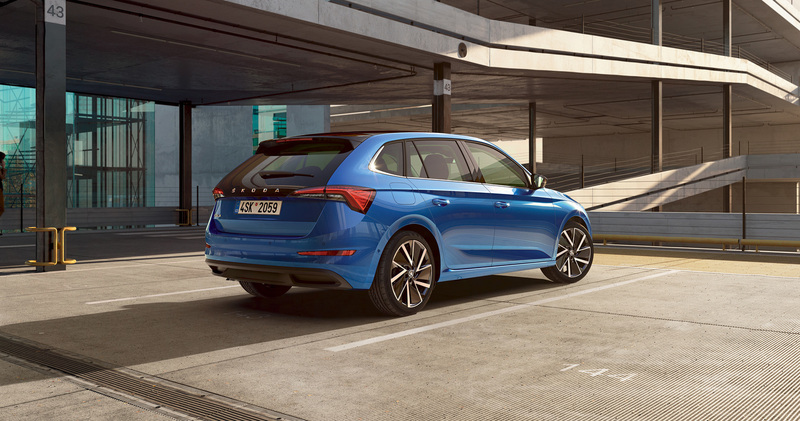 The name SCALA is derived from the Latin word for ‘stairs’ or ‘ladder’ and signifies the design, performance, and thought shift, or ‘next step,’ in ŠKODA’s compact car segment. Through the name, we also wish to celebrate three exceptional stories that, in fact, inspired the name itself. Get to know it more intimately! Find out the details about the equipment, technology and Simply Clever features. Check out the price list, or order a test drive.